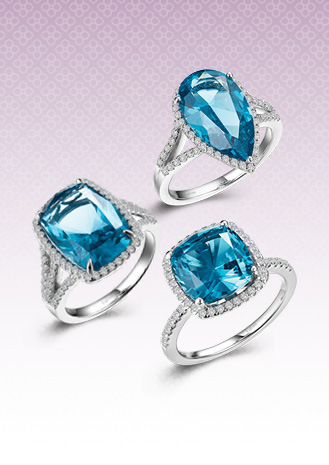 A dazzling beauty. 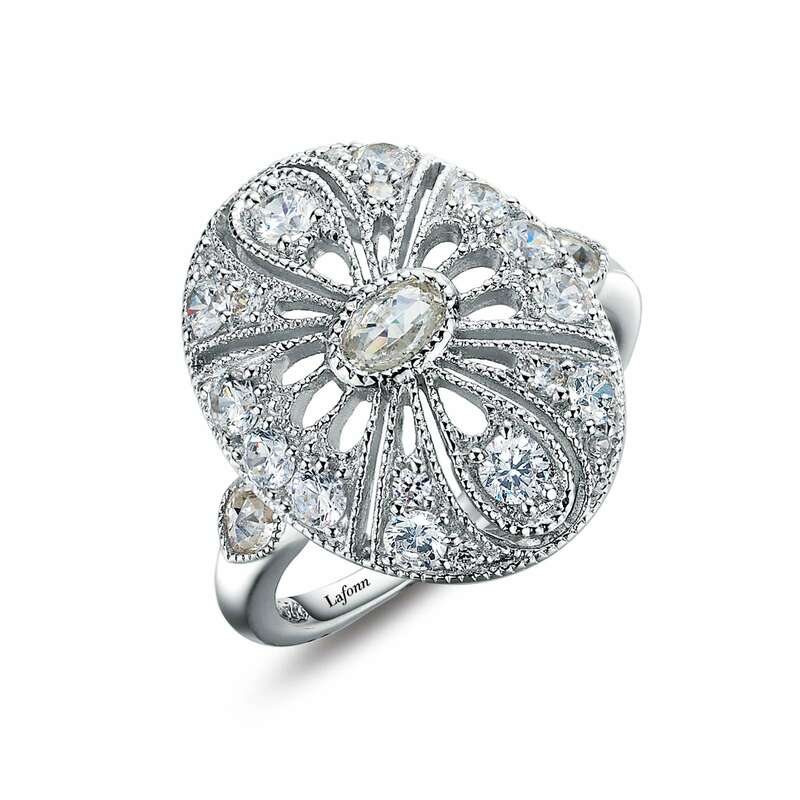 This Art Deco inspired ring is set with Lafonn's signature Lassaire simulated diamonds in sterling silver bonded with platinum. 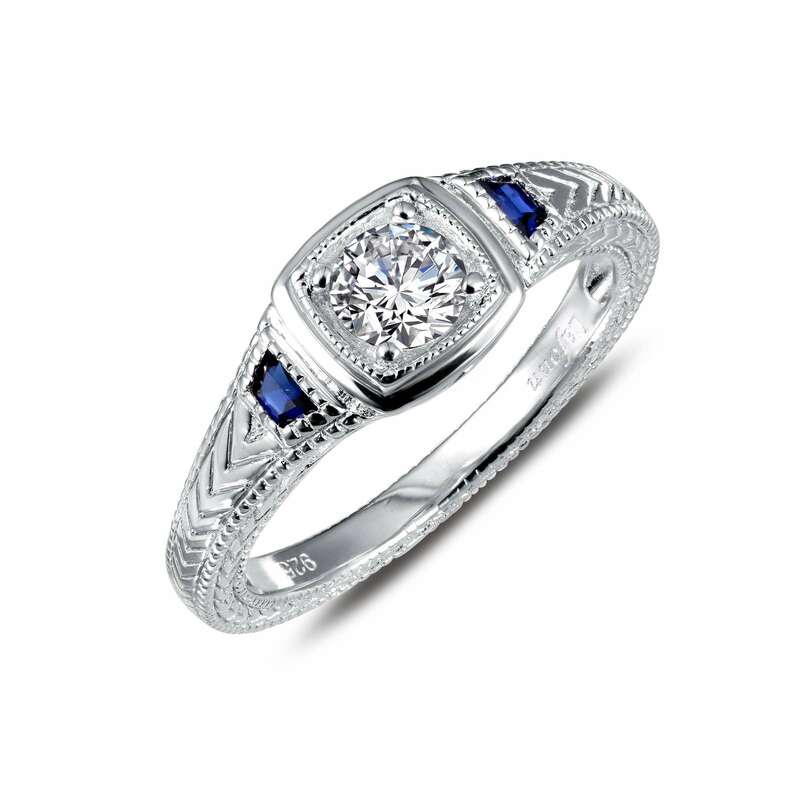 The exquisite filigree work and engraved ring shank makes this beauty a breathtaking piece.